The average click-through rate for premium native ads on mobile is now 137% higher than on desktop, according to new research. 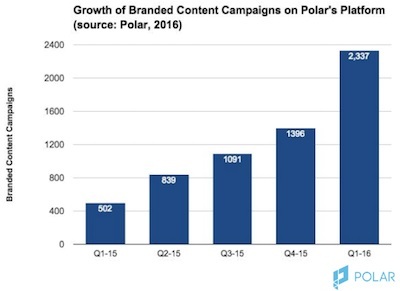 The study, from Polar, indicates that that the volume of branded content campaigns rose 365% in the first quarter of 2016 compared with the same period a year earlier. The report, The State of Premium Native: Benchmarks and Insights, also found that branded content campaign volume is expected to continue to take off during 2016, with branded video expected to pick up steam as the year progresses. Polar forecasts that the rise will continue as Google AMP and Facebook Instant Articles (both designed to speed up mobile page loads and prioritise content) reach more publishers. 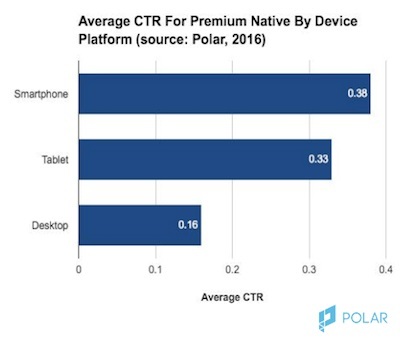 “The average CTR on smartphones has now more than doubled when compared to desktop – over 137 percent higher,” said Greg Bella, director of product marketing at Polar. “We’re likely anticipating the spread between the two to amplify even more over the course of this year, as the Google AMP and Facebook Instant Articles becomes more mainstream across publishers. 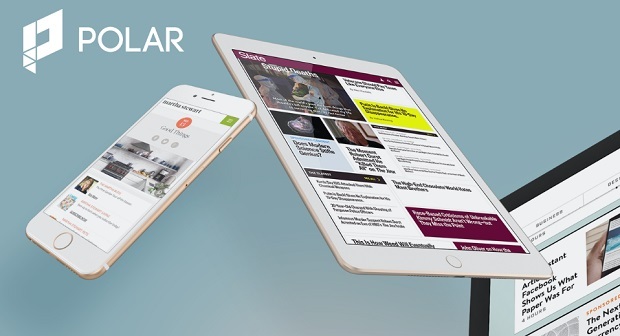 Polar also found that premium native ads perform better when headlines are optimized. The analysis shows a 50 percent increase in click-through rates in aggregate for creative – meaning posts or articles – that used Polar’s headline optimization capability. However, only 22 percent of creative using headline optimization. More specifically, headlines with 40 to 50 characters had the higher performance while headlines with fewer than 30 characters and more than 70 characters had lower relative performance. The report is based on a review of 6,165 branded content campaigns, 45,885 branded content posts or articles and 18 billion premium native promotional units on a publisher’s Web site that match the look of surrounding content. The average click-through rate for these units is 0.31 percent, but on mobile the number jumps to 0.38 percent while on desktop it drops to 0.16 percent.